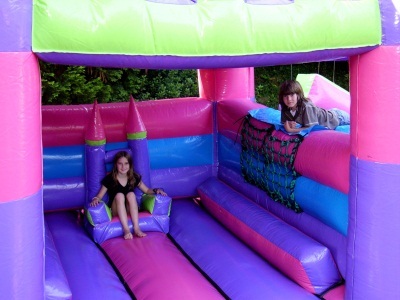 The Action Station is any girl’s dream Jumping Castle. 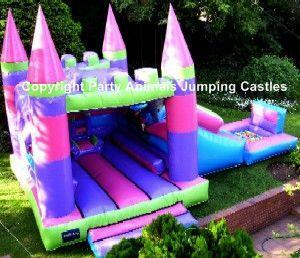 It is a 3 in One Castle: Jumping castle with roof, slide and ball pond + a throne inside the castle! The throne is a big hit with all girl’s and boys. 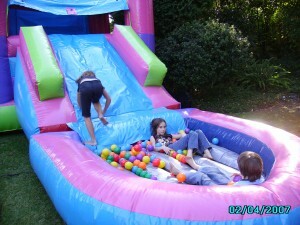 “Coloured fun balls” are rented separately and there is +- 200 balls per bag. 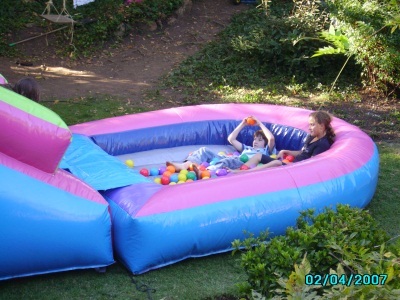 This is sufficient for the ball pond. The motor is a 1.1kw motor and has a 15m lead on it. If your power point is further than 15m from where the castle will be placed, you will need to supply an additional extension lead. These are not supplied by Party Animals. All motors are provided with rain covers.